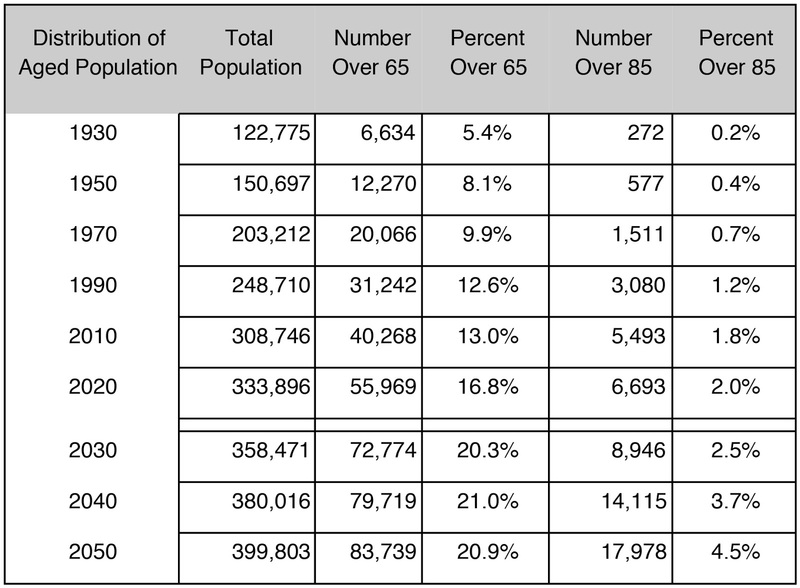 The 2050 number of people over 65 will be about 84 million. 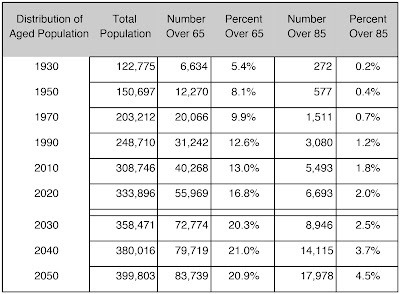 Seniors will consume the largest share of health care, which are the second largest component of the U.S. GDP. The GDP spent on seniors for health-care will rise from the current 17.4% to 19.6% in 2025. That is by far the highest health care spending rate for any country in the world. The growth in health care expenditures for seniors will keep blocking the accumulation of funds that could be otherwise used for other retirement purposes. The demographics of the U.S. population in the next five decades will be different from what we have experienced in the past. The minority population, which is everyone other than ethnically white people, will become the numerical majority after 2043. The U.S. has become more diverse racially and ethnically with differing patterns of longevity and health needs. The social costs of aging will be increasingly difficult to anticipate, with the federal and state governments increasing their roles in making payments as social welfare expenses. CONCLUSION: Based on a review of the current retirement trust funds, the US economy will not be in a position to support the senior population unless there is a corresponding increased in the GNP, which appears unlikely at this time.